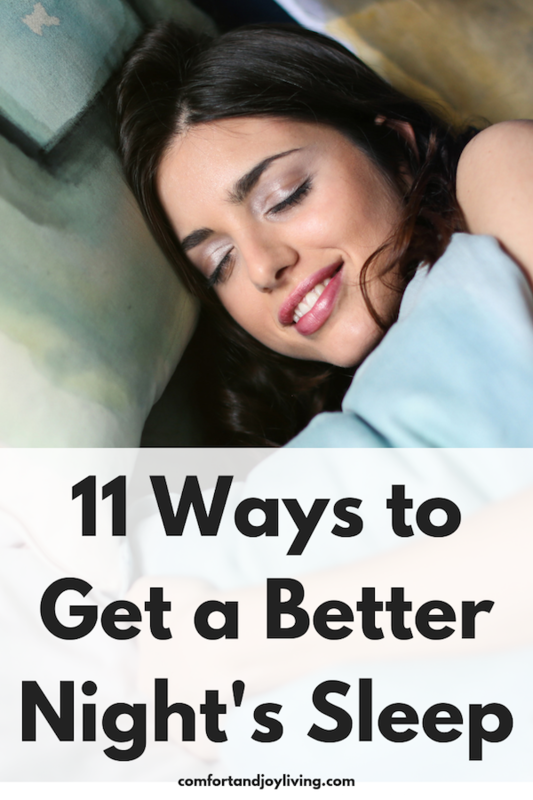 Do you find yourself tossing and turning all night long, struggling to get even a few hours of shut eye? I have and that’s why I have been focusing on creating different habits in order to get a better night’s sleep. One if the main problems is that I can’t turn my brain off at night. Thoughts are constantly running through my head and even though I remain focused on specific tasks and projects throughout the day, the moment my head hits the pillow, I start to think about all the things that I forgot to get done that day and what I need to add to my list for the next day. In the meantime, I’ve barely been functioning, which is why I’ve been trying to establish a regular sleep schedule and find proven sleep methods, and if you’re struggling to fall asleep—and stay asleep—at night too, these 10 tips are ones that I’ve been using consistently with great success. I noticed that my sleep significantly improved when I put a limit on my screen time. You would think that surfing mindlessly would help relax your brain before bed, but the bright lights of your phone, tablet and TV do just the opposite. Decide on a time to turn off all your devices or put away, and try to do this at least an hour before you go to bed. I turn my TV and computer off pretty consistently at 10 pm every night, and it makes a big difference! Read a good book until it’s time to turn the lights off at 11 pm. Doing the exact thing every night before bed signals to yor body that it’s time to get ready to go to sleep. I prefer to take showers in the morning, but when I’m feeling restless, I’ll take a hot shower with my favorite smelling soaps to help me relax and get ready to go to sleep. It helps to force me to slow down and just enjoy the moment, rather than think about everything that I still need to do. I’m not a big tea drinker, but a warm cup can help me relax after a stressful day. Pick a tea that doesn’t have caffeine, like camomile, and try to drink it a bit before you go to bed so you’re not getting up all night to go to the bathroom. A warm glass of milk may also help. If nothing else works, I’ll put on a set of headphones and listen to a playlist that I customized for sleep. The idea is to play it very softly so it’s basically background noise to lull you to sleep. Try soft, light contemporary hits or classical music. Speaking of reading before bed, this is a great way to help your brain slow down and relax before you turn out the lights. Whatever you decide to read, make sure that it’s not too exciting or thought-provoking! And if you have a hard time putting a book down, set a timer so you’re not up until 3 am. For those who love reading, but never seem to hae the time here’s your opportunity to sneak in a few chapters every night. You’ll be able to work your way through some of your favorite authors in no time! For evenings when I have too many ideas going around in my head, I have a notepad and pen to jot things down. It doesn’t have to be anything fancy—sometimes I don’t even turn the light on—however, i wouldn’t use your computer or phone’s note-taking app for the point I made in #2. At first, this may seem somewhat silly, but when my ideas and to-do’s are written down, I don’t have to use precious brainpower to try and remember them. And that alone will help me sleep so much better. Going to bed and waking up at the same time every day is what we’re working on with habit #2. Since I started, I’m already seen progress in establishing the same sleep times every night and wake times ever morning. Our internal body clock (also known as our circadian rhythm) needs to be on a set schedule as much as possible. By doing this, you’ll experience a much deeper and restful sleep, which is essential to waking up the next day with renewed energy. Your bedroom environment and its setup are key factors in getting a good night’s sleep. This can include noise, external lights, temperature, furniture placement and more. To optimize your bedroom environment, try to minimize noise with a fan or a white noise machine. Minimize artificial light from tv’s computers, cell phones, and alarm clocks. I never realized how even the smallest amount of light can make a difference. Even a sliver of light coming through my bedroom door can disrupt my sleep. Try blocking out light streaming in through windows by putting up black-out curtains or wearing an eye mask. I get easily cold and love snuggling under blankets to go to sleep, but if it’s too warm in my house, it can keep me awake. We try to keep the temperature around 69 degrees which isn’t too warm or cool. You can also open a window depending on the time of year or use a fan. If you use a fan, there’s the bonus of the extra droning noise which might help you sleep. Although, I can’t say that I love exercising, I do enjoy the mood-boosting benefits that I feel after a good workout, and it will help me have a better night’s sleep. Working out to a DVD or a brisk walk around my neighborhood is enough to make me feel great, and there’s no gym membership required! If you decide to start exercising regularly, avoid a sweat-inducing workout right before going to bed, as it might get you too wired to go to sleep. Some relaxing exercise like yoga is okay though. These tips have worked for me after months of restless nights and I hope by working your way through the list, they’ll help you to. It may be trying many or just a few, but don’t give up. Sleep is so critical to keep our bodies functioning properly. Commit yourself to giving the rest and care that it needs. What are your best tips for a good night’s rest?